South Africa female team scored five goals again in their 2nd game to hold firm top spot at the ongoing Africa Cup of Nations in Egypt. Defending Champions as well as Six-time winners South Africa continued their impeccable form in this year’s Cup of Nations by beating counterparts Nigeria 5-0. Chamberlain Dirkie scored her 3rd goal of the campaign in the 2nd minute to put South Africa in the lead. Skipper Damon’s Sulette increased the tally in the 6th minute before getting her 2nd and South Africa’s 3rd goal in the 30th minute from a penalty corner. The Nigerians held the champions in the 3rd quarter in order not to concede again but that resilience was short-lived. In the 4th and last quarter, Evans Cella added her name to the score sheet in the 49th minute before Sulette in the 60th minute completed her hat trick to round-up a convincing win for the Champions. 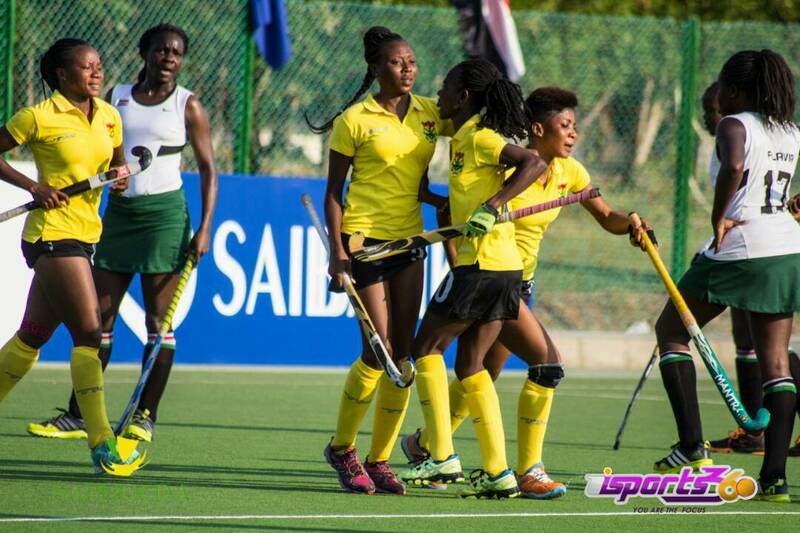 After watching from the stands on match day one(1) as a result of Zambia’s withdrawal, the Black Sticks of Ghana returned to action against Kenya in the 2nd game of the day. The game was a cagey one from start as both teams wanted a win to secure a place in the final. It was Kenya who got off to a better start when Guchu Caroline scored in the 29th minute. The Ghanaians who knew a defeat will end their quest to make it to the final and win the ultimate, came in strong during the 3rd quarter. Their fine display paid off in the last quarter when Boakye Serwaa converted a penalty corner in the 51st minute to level for the West Africans. Time seemed to be running out with the game approaching a draw when Umaru Nafisatu stepped up to convert a penalty corner in the 54th minute to win all maximum points for Ghana. Ghana’s win over Kenya takes them to 2nd place behind South Africa. Host Egypt are in 3rd above Kenya while Nigeria stay bottom with no point.